Steffen Muller’s one of the most well recognised names in the industry, known for his pristine quality and attention to detail amongst fellow engineers and producers. Having worked with legends such as Mark Romboy, Stephan Bodzin, Audio Jack, Rodriguez Jr, Lost and Found, Systematic Recordings, Bedrock and Herzblut recordings, amongst many others Steffen is also known for the one of a kind Equalisers he builds through his company, Custom Audio Germany. We caught up with Steffen for an in depth talk about mixing, mastering, his favourite gear, his approach and his background. 1) What would you consider a good mix down? A good mix just feels good, everything has the right impact at the right time. If nothing sounds unintentionally wrong I’m good to go. Btw… a good mix does not necessarily have to sound good. Ugly sound can be part of the story told. 2) Tell us a little bit about your background and what inspired you to become a mastering engineer? I have been playing around with cassette recorders since the age of 12, tape recording music from the radio. Besides loving music I also got interested in the technical aspect of recording sound which eventually lead to an apprenticeship at PHILIPS Germany. The little money earned during that time went mostly into building a little home studio, buying synthesizers, an ATARI ST computer with Cubase and from what I learned at my professional training I built myself a small mixing desk. In 1994 I released my fist record under the name Microwave Prince on the legendary Le Petit Prince label. The whole rest of the 90´s I was making techno music and playing live shows at RAVE festivals. In the meantime the internet came along which allowed access to all kinds of classic recording equipment. Equalizers and compressors that were way out of a price range I could afford. Since I got the skills, passion and wanted this stuff so bad, I started building it. Over the time my music making friends noticed I got all this crazy stuff and got very interested in coming down to my studio with their mixes to make them sound better. That´s how my mastering thing got started. 3) Any technical tips for aspiring producers on achieving a right balance in the mix? I think listening volume when mixing is something to pay attention to. What to listen for at what volume. So some sort of calibrated volume control (can be simple markings on your volume knob) that correlates to your mixbus, VU meters help a lot. Find the right speakers to mix on. Test them for a while, don´t just judge them on how they sound. Mix and let those mixes decide. 4) Do you have a roadmap or a vision of how a track should sound before you start the mastering process? The mix should emotionally be as close as possible to where you want it to be. The top end might be a bit off and the loudness is probably not at target but you should feel the music. Keep in mind: mastering does not add emotions, but it can reveal them. So it should feel right before sending it off to mastering. 5) Tell us a little bit about your set up? What are your go to tools? Let me start with my 2 most important tools. These are my speakers, which are ATC SCM 110 and my room (which has been designed by Thomas Jouanjean of Northward Acoustics). That’s the foundation, everything else builds on top of that. I use a mix of hardware and software, but can say that the heavy lifting is done by the hardware, even though some is digital. My main EQ is our in house built HDE-450, a 7-band stereo analog beast. If I need some extra sauce or if there are problems in the stereofield, I have an EQ capable of mid/side processing. Dynamic wise I have a VCA compressor to keep things under control before I hit the analog to digital converter. There is also a passive analog EQ with very broad curves which I use on occasion if a track needs to be balanced out a bit more. But it´s rare so I almost forgot to mention it. On the digital side there are the Weiss EQ1 and DS1 processors on the hardware side and DMG Equlibrium on the software side. I use the Equilibrium mostly for slight touch up on revisions. 6) Could you briefly explain how mastering differentiates from engineer to engineer? 7) What are your thoughts on online mastering softwares like LANDR? It´s all about expectation. And since it´s an automated process it can only go so far. How do you tell LANDR, I like what you did to the bass but can you put a little more spotlight and sparkle on the vocal. Plus the level is not that important for me on this track so please let it breath and let´s go with a bit less compression.“ How much control do you need to have over the end result? Thats the question. Is it just a track to play at the party tonight or is it an album you worked on for 2 years and want it to be perfect. 8) Your favorite piece of outboard gear? 9) Could you briefly break down the fundamentals of equalization, compression, limiting and signal path/flow and tell us how you use these tools in your process? Equalization de- or increases the the energy of certain areas or spots of the frequency spectrum. For instance, you can increase the hi frequencies to make track brighter or remove an annoying bass frequency that´s drawing too much attention to itself or makes the whole mix sound muddy. I use equalization mainly to make a mix sound a bit bigger and clearer, so all frequencies I want to hear are coming through. Compression and limiting is basically the same thing. limiting is just very strong (hi ratio) and fast compression. You might compress/limit for 2 reasons: A) The mix is dynamically a bit out of control so it´s not that easy to listen to. You try to push stuff that sticks out of the mix and makes you nervous back a bit, and everything runs hopefully a bit smoother. B) To gain loudness. You push transients and peaks down to prevent them from clipping while increasing the level of the track. 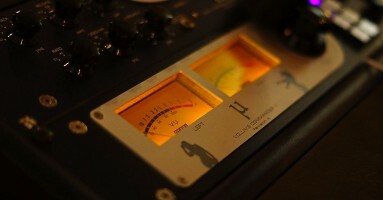 EQ and compression/limiting go hand in hand. And if one of the two is not 100% right you will probably overdo the other. 10) You’ve mastered tracks for legendary artists and record labels. What are the essentials, both from a mixing and mastering point of view when working with music for dance floors and large PA systems? Keep an extra ear on the bass area. somewhere down there is the hidden star of the show. One of of the essentials is to have monitoring that does not lie or just not show whats going on in the low end. If you’ve got that covered you can literally do what you want to make it big because you are in control. 11) Do you work closely with the artists/producers and have their continual involvement through your process? I like working closely and getting direct feedback. This helps me to get better at what I do and create better products. Sometimes communication between me and the artist happens only through label executives or managers…I find this to be very inefficient. 12) Apart from leaving adequate head room, not over compressing signals, controlling transients and achieving a fair balance with both frequency and stereo image, what else would you advice producers to look for in their mix before sending it out to be mastered? Technically the stuff I get is pretty good and if there are issues then you covered them pretty well in your question. I wish for more attitude sometimes. Not being lazy and use the automation to ride the levels to max out the emotional impact. A good mix is not “set the faders once and forget. 13) Could you differentiate your process whilst doing a stem master as opposed to a traditional one? Depends on the reason you want to master from stems: 1. There are problems in the track that can be addressed easier when having stems available. (for example: if the vocals are too sharp or esssy it less damage to strap a deesser on the vocal stem than across the whole mix. 2. People are not happy with their mix and want me help with that. like sending separate Kick and bass stems to get the low end right. this can help but is a dangerous thing, especially if its a remote session and the artist is not here with me in the studio…it can go back and forth a lot… 3. the traktor stem format. To be honest I did not have a single request for that but it´s interesting. 14) Briefly take us through your favourite EQ’s, Compressors and what you use each for by differentiating the tonal characteristics or utility of each? Okay, quick run thru: HDE-450 EQ mainly for balancing the track frequency wise (think: bass, mids, treble) HDE-250 EQ mid/side equalization, this more a vibe thing, space and depht Weiss EQ1 surgical stuff, especially in the low end SL-4000 compressor, keeping the levels in check or add some glue, Weiss DS1 for clean compression or de-ssing EQP-2s Wideband EQ for very broad strokes or tilting the mix a bit some units have switchable transformers built in, if some extra colour is needed. 15) Could you tell us a little about your work with Custom Audio Germany and how you picked up the art of building your own Equalisers and Compressors? I was doing an apprenticeship with Phillips where I picked up on the basics of the same. The rest was mostly self thought, this included teaching myself to design the front panels and everything else involved with graphic programs.